Apparently, Hollywood Films too have picked up ideas, scenes and story lines of Indian films into their films. So, it’s not always Bollywood duplicated or inspired by Hollywood movies, this happens the other way around as well? Here is a list of 10 Hollywood flicks that were inspired by Bollywood films. A Common Man was an official remake of Neeraj Pandey's A Wednesday! Director Rutnam re-worked the screenplay of this highly suspenseful thriller. 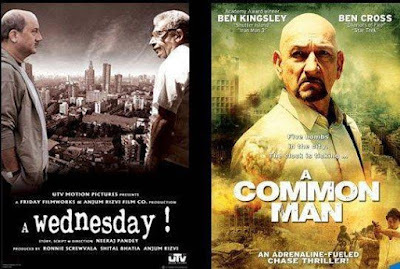 A Common Man was so successful that it ended up winning awards like Best Picture, Best Director and Best Actor awards at the Madrid International Film Festival. 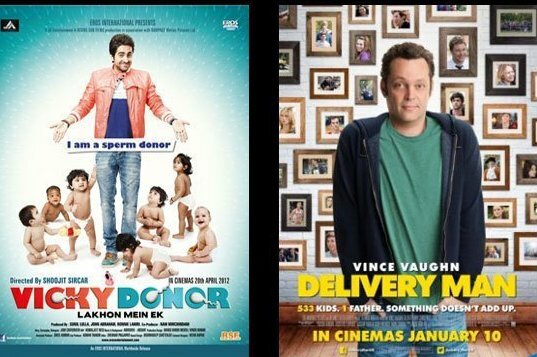 Vicky Donor was about a man who started donating and selling off his sperms for money. Vince Vaughn's Delivery Man too took an idea and reconstructed it into a new story for the film, Delivery man! Jab We Met was about a girl who goes out of the way to meet her boyfriend but ends up meets a guy who helps her complete the trip but eventually ends up falling in love with him. A romantic comedy Just Go With it resembled the Salman Khan, Katrina Kaif and Sushmita Sen's Maine Pyaar Kyun Kiya a lot! Interestingly, S.V. 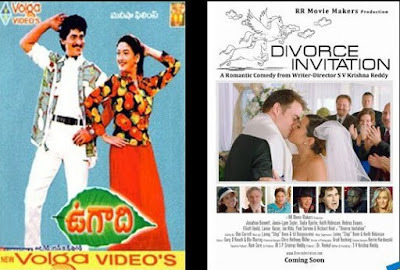 Krishnan Reddy himself recreated his Tamil romantic comedy for the Hollywood Box Office featuring Jonathan Bennett and Jamie L. Sigler.